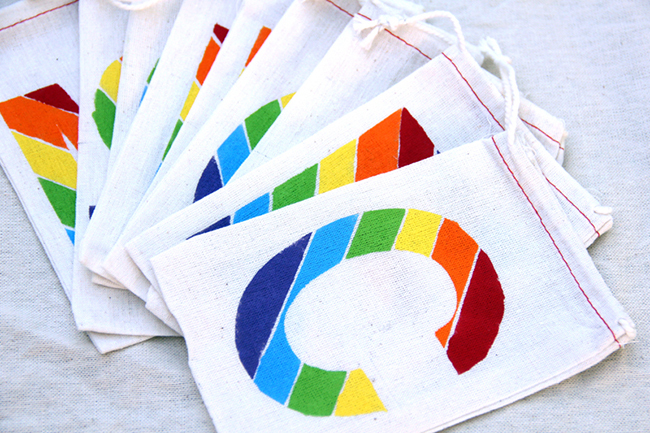 These monogrammed rainbow party favor bags by Studio DIY are so bright and cheery! 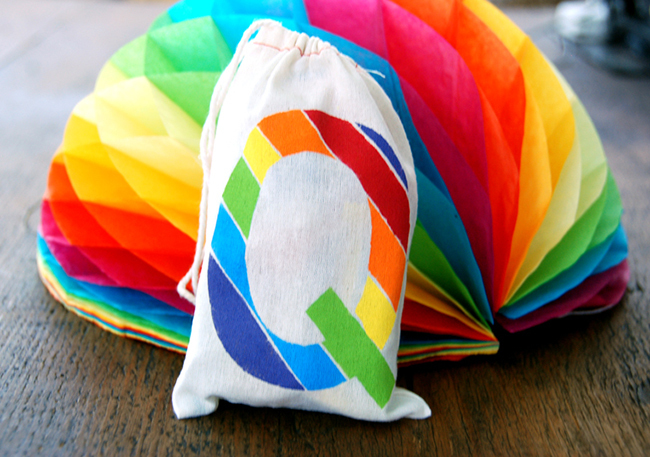 It’s nice when party favors have a little extra personalized touch, so I love that each child at the party would receive their own special bag. And, since they’re made from a few basic supplies and inexpensive muslin bags, they’re very cost-effective for being so cute! 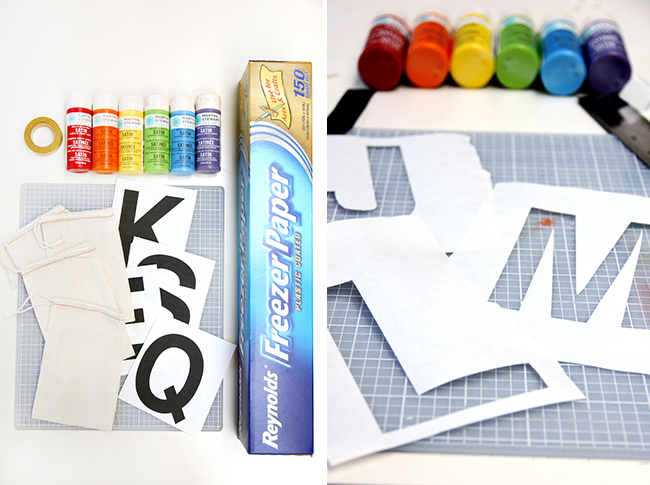 To make the bags, you need freezer paper, tape, an X-acto knife, fabric paint, and muslin bags. You can print the letters from your computer, so no special stencils are needed. The rainbow colors are gorgeous, but you could also do solid letters, paint a freehand swirl or dot pattern, or make stripes using different colors of your choice. There are lots of possibilities here! 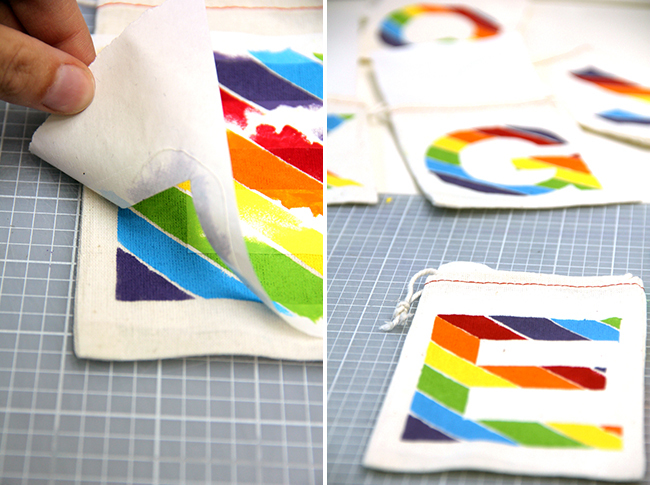 For more about this project, see the full tutorial and instructions at Studio DIY. Reposted with permission from Kelly at Studio DIY. Thanks Kelly!